The leech is one of nature’s most tenacious yet mysterious animals. Possessing a hold on the human body and culture, few creatures feature so unexpectedly yet consistently in human history. Popularly thought to be a formidable bloodsucking parasite, armed with razor-sharp teeth and capable of drinking many times its volume of blood, the leech is a most unlikely candidate to turn to as a cure for ill-health. Yet, this is precisely the role leeches have occupied in human medicine, Western and Eastern, from earliest recorded history to the present. Yet for every leech that served as a symbol of hope and progress, there is a pessimistic twin. 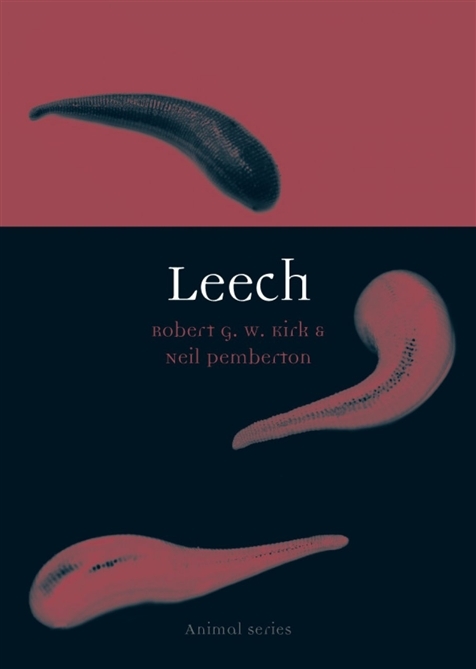 In fiction, film and popular culture, from Bram Stoker’s Dracula and twentieth-century B-movies to a video game-player’s nemesis, the leech is shown to have embodied what is darkest in human nature, representing fears of science and nature run amok. In Leech, Robert G. W. Kirk and Neil Pemberton explore how this creature repeatedly surfaces throughout human history, featuring in radically different practices; from the humoral medicine of the ancients to twenty-first-century cosmetic surgery, from nineteenth-century meteorological barometer to twentieth-century biomedical tool that helped to win a Nobel Prize, the leech has been often present and always surprising. A horror and a healer, the leech has reared its head in many unexpected places and practices, revealing this creature to be among humanity’s most enduring and peculiar companions.